Welded /Folded Anchor With Back Plate For Added strength. Solid Construction. 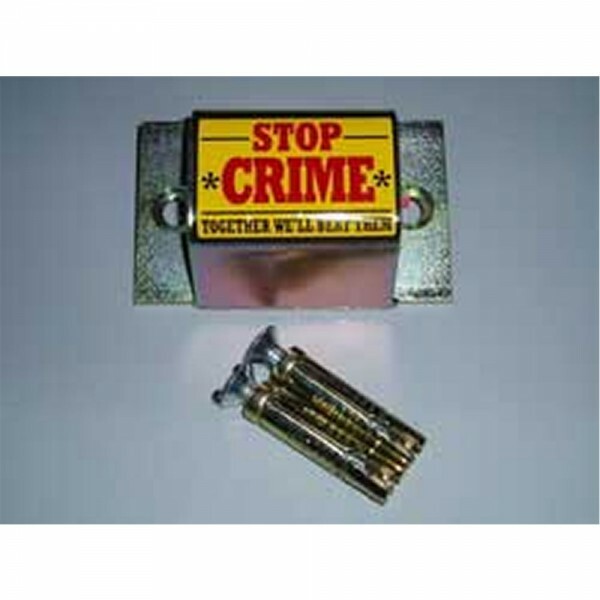 Fits any chain, cable, u-Lock up to 12mm. Zinc Plated Finish. Security Fixing Bolts /Steel Ball Inserts Included. Ideal Uses Include Securing Bicycles, Scooters, Quad Bikes, Plant, Machinery, Ride-On Lawnmowers, Ladders Etc . Made In Britain.